The MINI Cooper S Clubman ALL4 has a chic style combined with an advanced performance and high-tech features. To explore it further, we’re giving you a detailed explanation of everything you’ll find in this subcompact car. 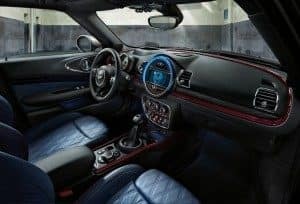 Our team at MINI of Annapolis wrote this MINI Cooper S Clubman ALL4 review to help you decide if it’s the right one for your drives around Annapolis, Highland Beach, and Hillsmere Shores. After reading, contact us to get behind the wheel and experience it for yourself. The 2018 MINI Cooper S Clubman ALL4 seats five with plenty of room to stretch out—41.4 inches of front legroom and 34.3 inches of rear legroom, to be exact. The vehicle also has six doors, with the signature Split Rear Doors providing easy access to the 47.9 ft3 of cargo space (when the rear seats are folded down). The S Clubman ALL4 interior has a sophisticated feel to it with its leather-wrapped steering wheel and five high-end leather upholstery options, including Chesterfield Leather with diamond pattern stitching. Additionally, the dual-pane sunroof has almost 11 square feet of glass to enhance the view for both front and rear passengers. Sport mode: Will tighten your steering and adjust the throttle for a more aggressive, thrilling drive. Green mode: Optimizes fuel delivery, tweaks shift points, and has a coasting feature that disengages the automatic transmission when your foot is off the gas pedal. This results in a more fuel-efficient ride. For a more enjoyable drive, the 2018 MINI Cooper S Clubman ALL4 comes with the MINI Connected infotainment system. It features a 6.5-inch high-resolution display, which can be upgraded to an 8-inch screen. It’s designed to seamlessly integrate your technology into the vehicle, offering popular apps like Spotify® and Pandora®. There’s also the available Journey Mate app that can coordinate your entire ride. With this feature, you can access info on real-time traffic, weather, gas mileage, and calendar appointments. Journey Mate can even help you find gas stations and available parking in unfamiliar areas. The Cooper S Clubman ALL4 also offers Parking Assistant. When it detects a potential parking spot, it’ll take control of the wheel and steer the car into place; all you’ll need to do is apply the gas and brake pedals when appropriate. 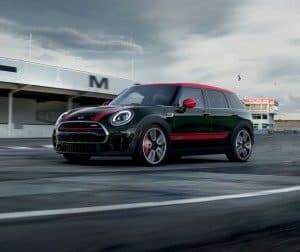 If you’re searching for a sophisticated subcompact with state-of-the-art technologies and an impressive performance, the new MINI Cooper S Clubman ALL4 may be the right one for you. 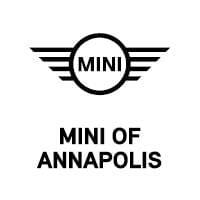 But to know for sure, contact our team at MINI of Annapolis, the dealership that proudly serves drivers in Annapolis, Highland Beach, and Hillsmere Shores.